Provide comfort for the family of Loretta Pacaud with a meaningful gesture of sympathy. After a wonderful Christmas with her whole family Loretta Pacaud passed away peacefully at home December 30 at the age of 76. Beloved wife of late Romeo Pacaud. Loving mother of Marie and Paul (Pam). Beloved grandmother of Cheryl (Sheldon) and Natasha (Maverick). Cherished great grandmother to Kristopher and Danielle. As Loretta’s wishes no funeral service will take place. 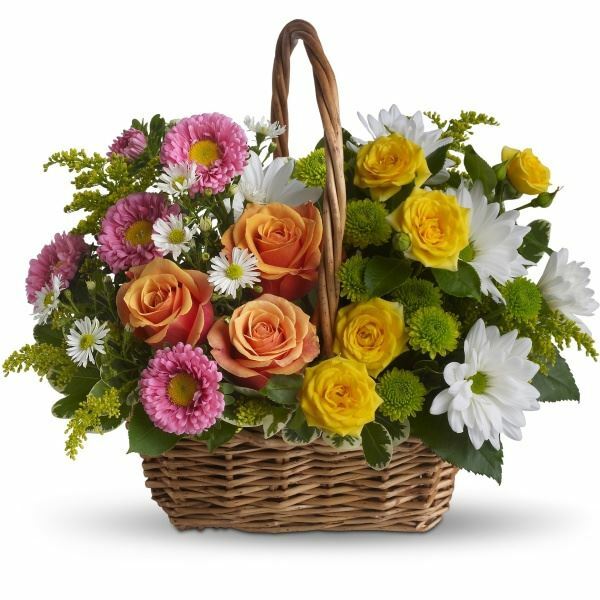 To send flowers in memory of Loretta Mary Pacaud, please visit our Heartfelt Sympathies Store. Joe & Karen Gaulton sent flowers to the family of Loretta Mary Pacaud. From the Saavedra/Jaubre Family. We are deeply sadden for the lost of a loving wonderful Mother/ Grandmother/Great Grabdmother to a lovely family that we have grown to known for years and are sending our prayers and condolences to Natasha, Marie, Cheryl and their Family! May she now Rest In Peace with her husband as they both watch over you with guidance and love. Marie, Paul, Cheryl, Natasha and families. We are saddened to hear of Loretta’s passing. Please accept our heart felt sympathy. Your memories of her will help you heal in time. Sending prayers. Joe & Karen Gaulton purchased the Sweet Tranquility Basket for the family of Loretta Pacaud.